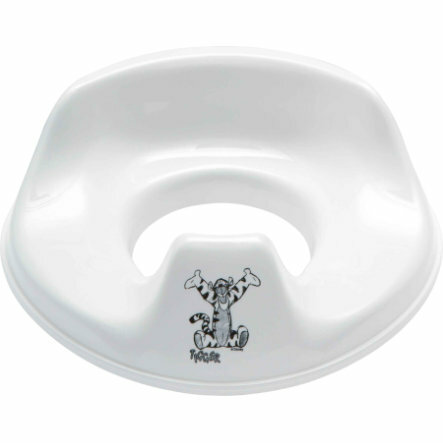 The new bébé-jou Toilet Trainer Seat is great for your child to learn to use the toilet. It is adjustable to fit every standard toilet and easy for adults and children to place on the toilet. The comfy seat and anti-slip ring ensure that the seat stays in the correct position and the flat backside allow the seat to be stored upright.